Do you have SpongeBob SquarePants fans at home? 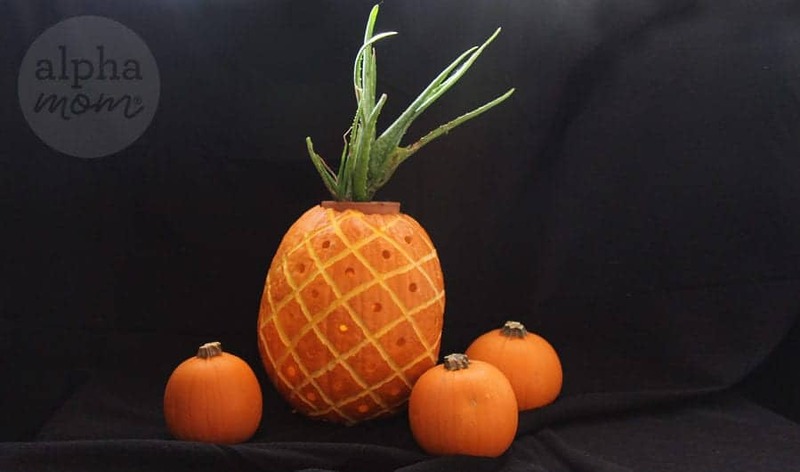 Do you have the ear worm “Who lives in a pineapple under-the-sea” playing in your head? 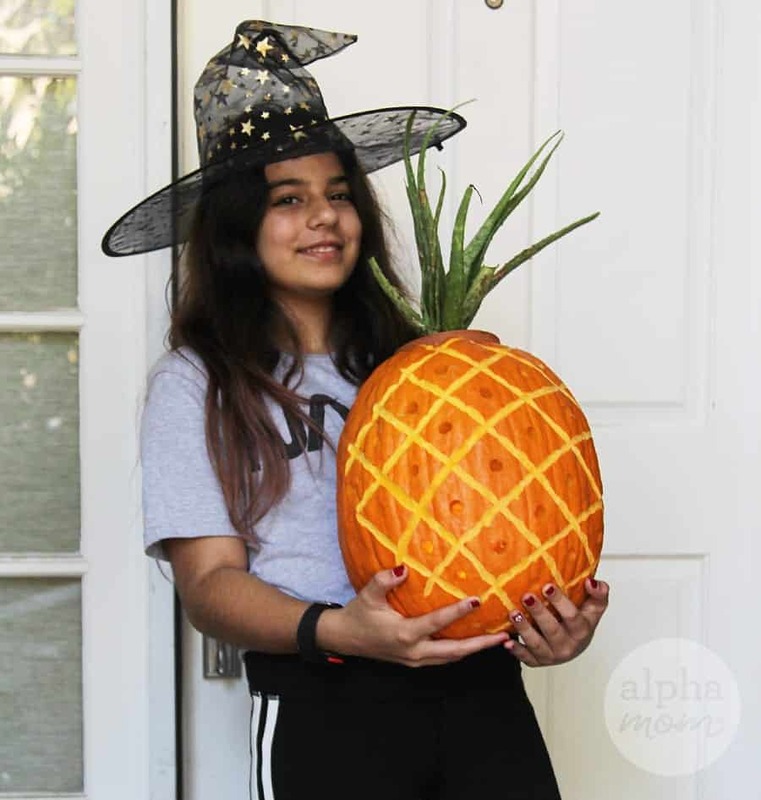 We’re SpongBob fans and decided to make a a Pineapple Jack-o’-lantern for Halloween. That’s something new we haven’t seen before. 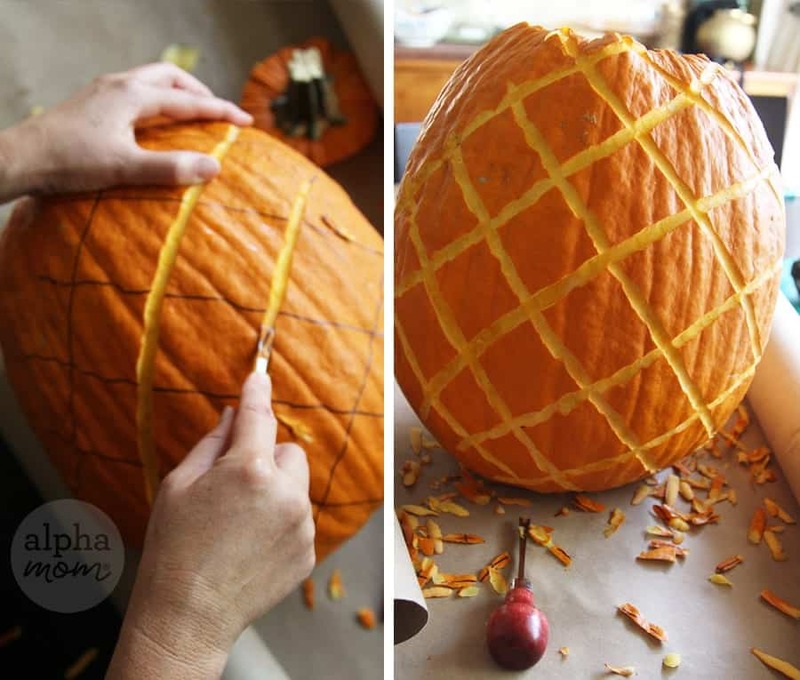 Step 1: First draw your criss-cross lines along along one side of your pumpkin. You can cover all sides if you like but we were going for efficiency and ease so we only did the front side. Step 2: Next carefully use your rounded carving tool to carve out your markings. 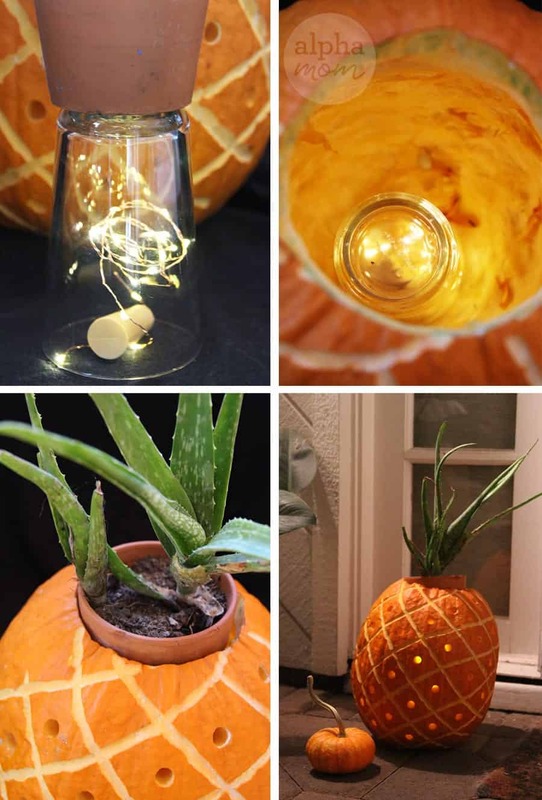 Carve just low enough to take the top layer off your pumpkin. Make sure to use your carving tool properly by pushing it away from your body and not towards your hands. A simple slip could end up injuring yourself so always be careful. 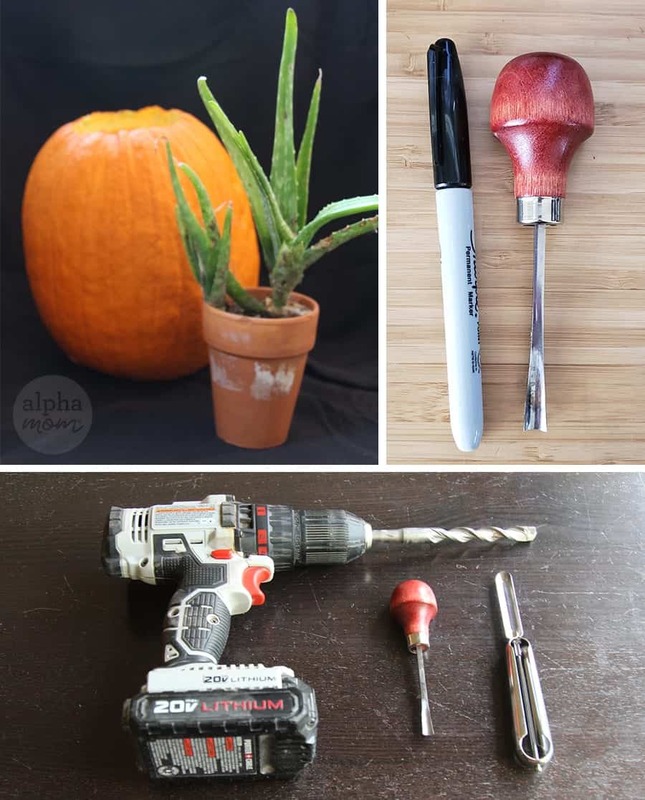 If you don’t have a handy “5/16″ bent large gouge” tool like I do, don’t worry, the dull end of a potato peeler will do or even many pumpkin carving kits have a blade that will work. Step 3: Next up is drilling! You don’t really have to do this drilling step. In fact, I was a little disappointed in how my drill holes turned out. I think it might look better with a smaller drill bit. But one good thing about the drill holes is that it does let light shine through so your jack o’ lantern lights up like a proper jack o’ lantern. 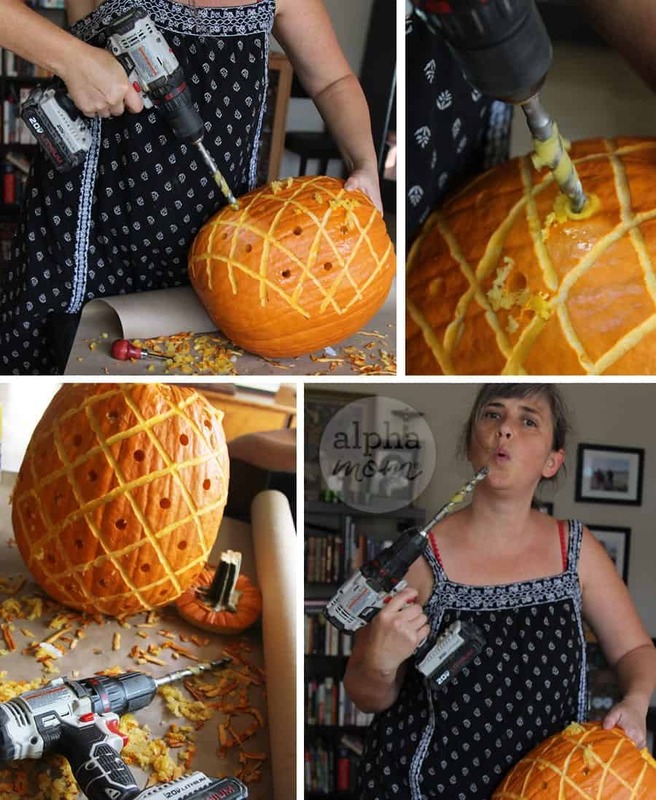 Also, drills are really fun to use on pumpkins, says the adult. Or you could take it to a Halloween Party as a gift and massive display of hospitality! Pineapples are the symbol of hospitality after all.